At Lawson Chiropractic in Asheville, NC our chiropractic care team understands how frustrating it can be to struggle with chronic pain following an accident injury. We offer comprehensive chiropractic services to safely manage this pain without the need for medication along with physiotherapy programs to support your prompt, healthy recovery from your injury. All of our chiropractic services are fully customized to each patient’s unique pain management and injury rehabilitation needs. Spinal adjustments - We offer a wide array of chiropractic techniques focuses on spinal alignment and function. The spine is the foundation of a healthy body; when the spine is correctly aligned, the body can function in a state of harmony and ease. When the spine is out of alignment, your body is at risk for injury, pain and general poor health. Our spinal adjustment techniques are beneficial for relieving pain associated with conditions including a herniated disc, slipped disc, sciatica, back pain and neck pain. Our Asheville chiropractor is trained in a variety of chiropractic techniques including the Gonstead technique (osseous mobilization) and the Thompson (drop table) technique. We also offer gentle, precise instrument adjusting with the Activator Technique. Physiotherapy - After an accident injury, inflammation and swelling can aggravate pain and slow the body’s natural recovery process. Our physiotherapy exercises are designed to reduce this swelling and help the body heal quickly and safely after injury. Our therapies include muscle stimulation, intersegmental traction, ultrasound, and ice and heat therapy. These treatments support the body’s natural ability to heal itself while restoring a fuller range of mobility following injury. Exercise programs - At Lawson Chiropractic, we teach patients how to perform special “blueprint” exercises that help strengthen and correct alignment irregularities. Many of these exercises can be performed from the comfort of your home on a regular basis in support of proper spinal alignment. These exercises are also beneficial following an accident injury as they safely bring mobility and flexibility back to the body while improving coordination and balance. Diagnostic exams - Our comprehensive diagnostic exams include digital X-rays and a 3-D orthotic evaluation. The results from these exams help our chiropractor precisely identify the location of any spinal misalignments and create a fully customized treatment program to support your body’s safe healing process. By identifying the root cause for your back pain, neck pain or headaches, we can treat this pain at the source. 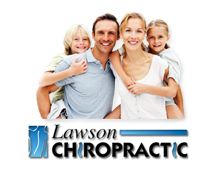 At Lawson Chiropractic, we believe that good health is more than the absence of pain or injury. That’s why our services go beyond pain relief and injury rehabilitation to support whole body health. Our goal is to empower all our patients with the tools and resources they need to live a healthy, active life. From pain relief to wellness care, our Asheville chiropractic team is here with you each step of the way. To learn more about our chiropractic services or to schedule a diagnostic evaluation, contact our Asheville chiropractor at 828-274-8880.